The first thing you’ll notice in And Then Emily Was Gone’s excellent finale is the colour palette. The isle of Tallyman Holm is “a shadow of a shadow”, and the denizens of this detached world are painted in shadows – blues, greys, and a soft pink spot colour mute the colourful and twisted creatures that live on the edge of our comfort zones. Iain Laurie’s art is as skin-itchingly grotesque as ever, and Megan Wilson, whom I have shamefully failed to mention in any review up till now, does a fantastic job as colourist, and has done for the entire series. It would be remiss of me too, to not mentioned Colin Bell in his role as letterer, no easy task to letter a comic like And Then Emily Was Gone #5, with its intense artwork and disoriented panel placement, and through the series he has done a fine job of making sure the stellar writing is delivered in the best possible way. The writing, too, is a little more muted than previous issues. This issue, titled “Black Dog” has the eponymous Black Dog looming large over Hellinger. A reminder of their previous conversation, and a simple but effective metaphor for the state of Hellinger’s mental health. Once again, it’s Hellinger’s awareness that pulls him through this bleak world. But, without spoiling anything in this satisfyingly grim horror finale, perhaps his awareness isn’t as strong as he’d thought. He may have learned to use it to his advantage, but it is by no means infallible. To paraphrase a seriously overquoted phrase, when the abyss gazes back into you, you have no idea what it might see. And so ends And Then Emily Was Gone, and with it, Comixtribe’s first foray into monthly comics. What a start for the indie publisher. And Then Emily Was Gone isn’t the most accessible, but it’s a damn good contestant for this year’s best limited series. Both the writing and art have been consistently strong, and perfectly complimentary to each other. If your local comic shop didn’t happen to stock the series, a collected edition will appear in January, followed by an issue 0 later in the year for free comic book day. Fans are promised more in 2015, so head on over to the Facebook page to keep track of what’s going on in Merksay, and be on the lookout for John Lee’s new series for ComixTribe, Oxymoron: The Loveliest Nightmare next year, which we’ll have a special preview of up here at NTC in the next few days. 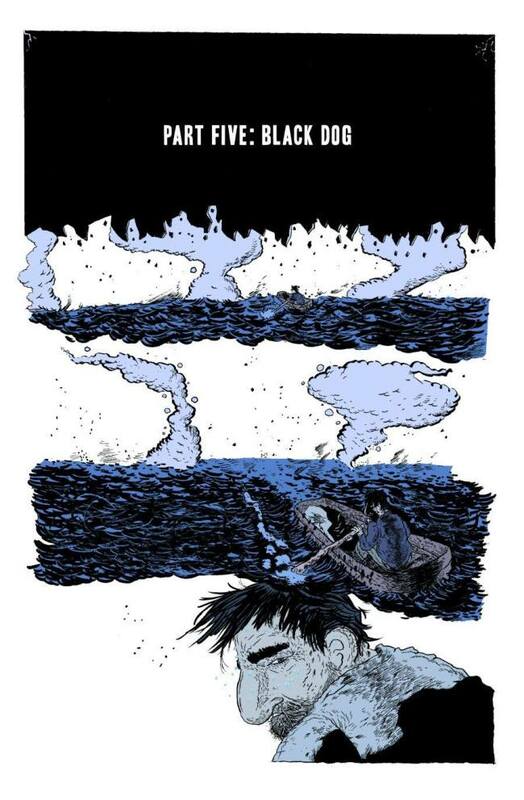 As always, the comic was published with a 50/50 variant, this time by Cody Schibi, whose fantastically disturbing creations can be found at www.codyschibi.com. 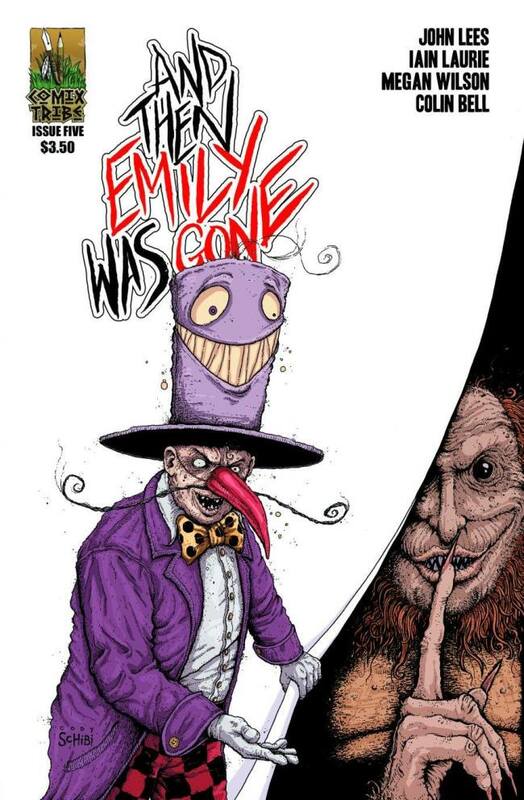 And Then Emily Was Gone #5 is available now on Comixology and in your local comic book store from 17th December.